What is a “bonsai tree”? 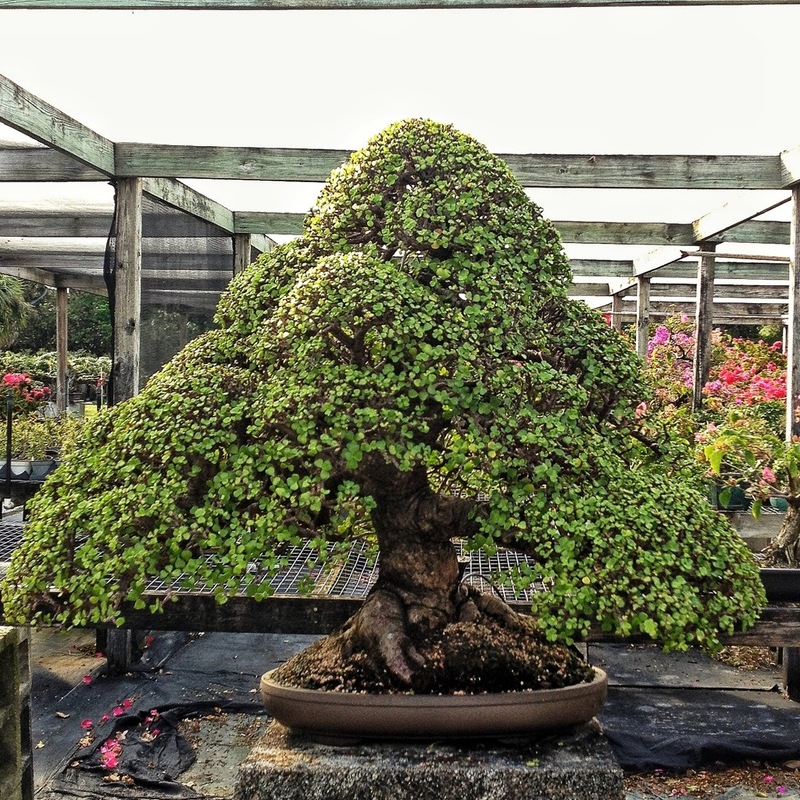 This article will be different than most “what is..” offerings about bonsai. It is coming from me, so it’s a given that there will be idiom, slang, intentionally misspelled words etc, plus my odd humor thrown in. It might even be construed as being an opinion piece. In fact, to those who disagree, it definitely will be (There is a comment section should you wish to argue). I, in fact, feel a rambling, disjointed polemic with mostly opinion and few facts a-brewing. If I were you, I would just scroll down to the next story. 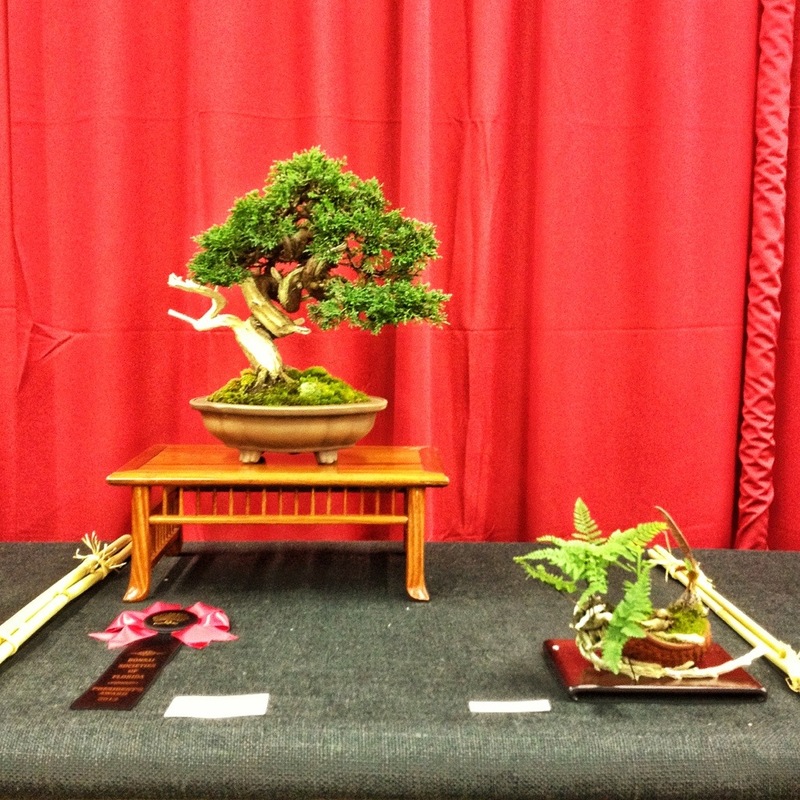 Most people think that a bonsai tree is a specific kind of tree. It is a process we apply to plants that make them (hopefully) look like trees. In that, we can use any species. Typically, though, the plant should have a woody or wood-like stem (trunk) and have leaves or needles which are small or able to be made small (through horticultural techniques) in order to give the tree (which is miniaturized) the scale necessary to make it “tree-like”. Bonsai is an art form which, using line, shapes, color, perspective and scale, and utilizing horticultural practices and techniques, tries to mimic an old, big tree, but in miniature. The major plants are: pine, juniper, elm, maple etc. One can use any plant really. As long as it can live in a pot and can be made to look “tree-ish”. Let’s (to use the vernacular) “speak to” some skeptics out there. I’m sure you’ve heard these and more. Maybe this statement is correct? I’ve heard people use it for portulacaria afra, schefflera arboricola and even conocarpus erectus or ficus. These plants don’t look like trees. Think of a tree….I mean, there’s nothing more awe inspiring than a 200 year old Pine Tree or as majestic as a spreading red Maple, a stately broom like Zelkova tree… gnarled and skeletal juniper…..bush.Wait! Hmmmmnnnn…..the truth of the matter is that the image of The Bonsai Tree in the collective unconscious is represented by a…. shrub. would not be a bonsai (Paul Pikel’s Juniperus chinensis “shimpaku” on display at Kawa’s Joy of Bonsai show. Winner of the President’s Award). The tree up there is shimpaku juniper which, at best, only grows into a large bush. 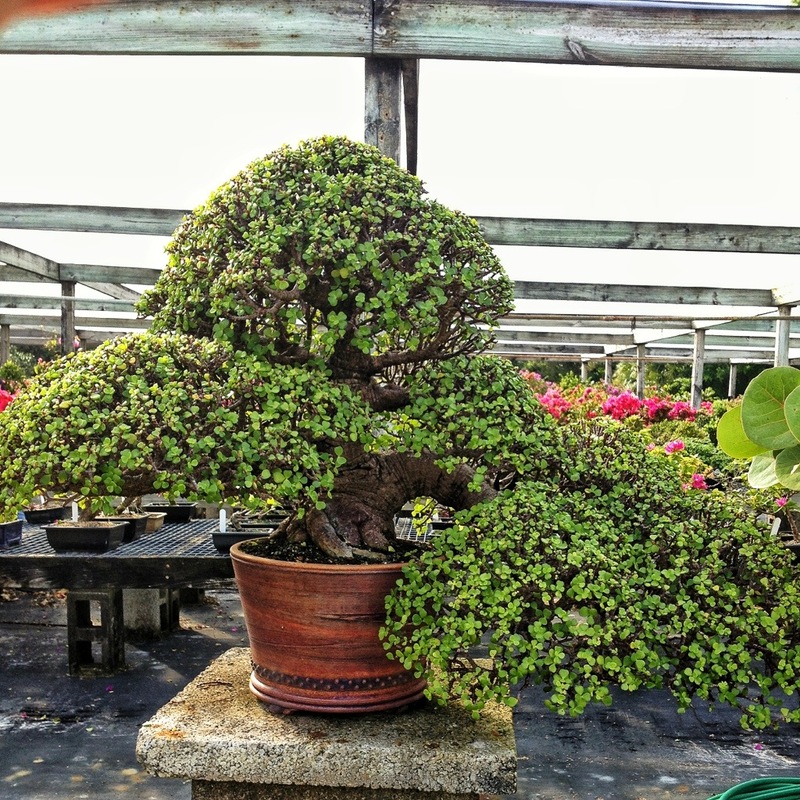 This bonsai won the Best Tropical Bonsai Award at the 2nd National show in Rochester (Richard Turner’s portulacaria afra, dwarf jade). This one is easy. The Japanese are smart enough to know that certain trees only grow in certain places. They use what grows in Japan. The truth of the matter is they actually say that we should be using more of our native species and not rely on the Japanese species so much (There is even a bewilderment that so many people try to use akadama soil. The reason Japanese use it? It’s sold at their equivalent of our Home Depots. So what grows in Japan? Pines, maples, juniper….. Get it? Why don’t the Japanese use trees like ficus, jade, Brazilian Raintree? Well, first we have to open up another question for debate: Is there such a thing as an indoor bonsai? I don’t think so. A plant needs sun, air, humidity and so forth to live. They’ve evolved to live outside. Now, that doesn’t mean that a bonsai can’t survive inside. It just won’t grow well. In my opinion, a tree can’t develop those certain characteristics that are essential for a convincing “tree-ish-ness”. Unless you go to extremes. Here is Jerry Meislik’s website. He is one of the best growers of ficus in the country. He also has to grow them indoors. I live in Florida. He has to create an indoor environment that mimics what my backyard is like. I could grow japanese white pine here too….if I had a walk in freezer I used to mimic winter. I will admit, it’s easier for him to grow ficus indoors than it is for me to try to grow white pine. But a juniper or a pine will not grow inside well at all. If you want to try an indoor bonsai try a tree or shrub that is considered an understory tree. Meaning that it grows in the shade and doesn’t need direct sun. Some characteristics to look for : broad leaf shape, spreading habit, mature height less than 10 ft. Most ficus can tolerate indoor culture. Some elms. Dwarf jade. But,by growing them indoors you will have bigger leaves, extended internodes (the spaces between the buds) and an overall more shabby looking plant. So, after all that, the question remains, why don’t the Japanese grow those trees? Because they have winter in Japan. And they understand that trees grow outside. That brings us to tradition. Is allowing all the world a chance to grow bonsai (with the native trees available to) then important? I would say yes. Robert Stevens’ and the Indonesian artists’ work with pemphis acidua and tamarind; the Taiwanese ficus; the English elms and hawthorn; the US work with conocarpus erectus and taxodium distichum- these are all non-traditional trees. I think they are all bonsai. You? So, what is a bonsai? Long answer: It is a living plant that has been trained and pruned (sculpted even) using artistic and horticultural practices to resemble a tree (real or fantasy, abstract or impressionistic) in miniature. I got in trouble for using that definition recently. The person said I had my nose stuck up in the air. I used an analogy, I said that their plant was like a block of marble. A block of marble might one day be a sculpture of David. One day. But it’s not until the artist works on it. Isn’t ART anything you want it to be? Maybe. But no, It’s not (here we go with the comments…bring em on!). If I painted a self portrait of me (hence the self part….) and called it a landscape of the Florida swamps, (not just the title, but actually a landscape) no matter what I said, and no matter how many people sided with me, it’s a self portrait, not a landscape. So ART can be anything, but any old artistically potted tree may not be a bonsai. A landscape should have the sky, the ground, maybe trees or bushes…you know. A bonsai should be a living plant that (somewhat) resembles a tree. 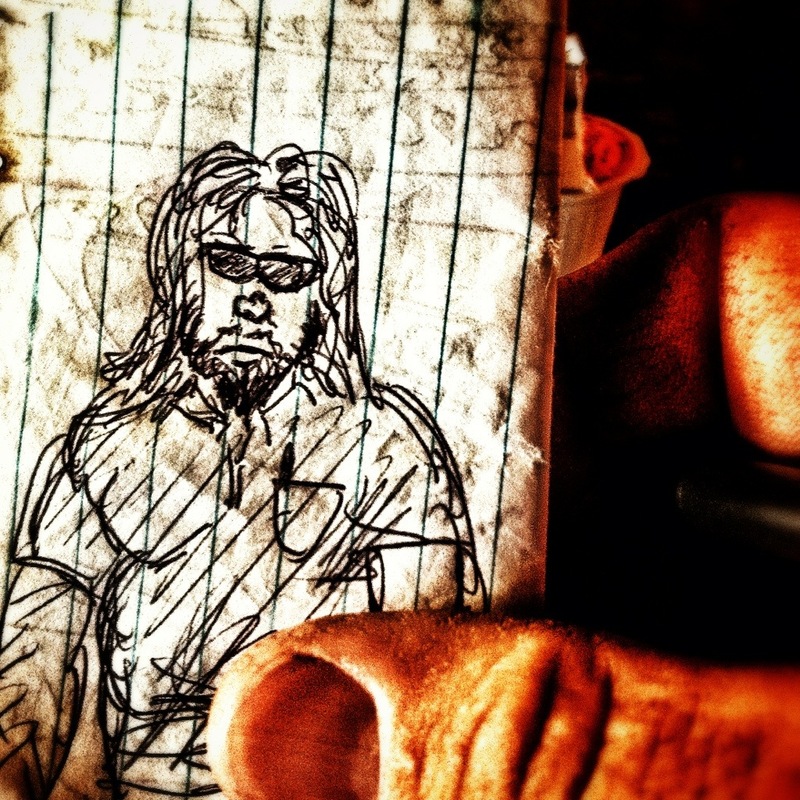 A self portrait should have be ugly representation of the artist. I think I’ve rambled enough. “Stirred the puddin'” as they say. I’ll probably be vilified by my friends and praised by my enemies. The powers that be will remove my name from the rolls but I’ll be invited out more for demos, the lakes will burn and the sky will fall… Cats and dogs will be sleeping together…..
As a parting picture, I’ll present another dwarf (not-so dwarf) Jade from Richard Turner. It’s about 35 years old, grown from a pencil thin cutting. No, really. Enjoy! Posted in philosophical rantTagged bonsai, Elm, ficus, jade, juniper, what is bonsai? Next It’s about time you styled that Boxwood into a bonsai! I lurk on reddit’s bonsai sub. I think you might like some of the myrtles that have been made into bonsai in Fort Worth, TX. The myrtle is a star of the local plant scene there because it can withstand both high heat and the bit of occasional winter chill. My pie in the sky ambition is to do some myrtles and Texas Sage as bonsai whenever I finally learn what I need to to really do them. Great perspective from a philosophical POV especially the comments regarding art in general. I thought of the quote (my paraphrase) that faith is the living belief of dead people, not the dead belief of living people. Art (not unlike a tree) is a living system that requires growth and evolution in order to survive. Why not use a species of woody plant native to the grower’s location? Why not push the envelope? If that did not happen (with art and life in general), we would still be painting on cave walls… of course if that sort of thing makes you happy, I won’t judge you. For readers that want to follow your advise within this piece, I would also recommend your blog series on custom prep and mix of bonsai soil. If you are going to use native plants, custom mixes that support them simply makes sense. Adam, thanks as always – I really enjoy reading what you have to say. Thank you Sharon. I believe I’ll use that phrase “painting on cave walls” the next time Someone complains about me using a non-traditional styling technique. Hey, Last weekend I was pulling weeds and lamenting at the boring garden I have when I thought “Why not make my old juniper bush into a bonsai?” This is the first site that I found that makes me believe I can do it. Where are my clippers and gloves? thanks for the perspective. This post is brilliant! I am on a forum with a bunch of grumpy old men that desperately need a………I’ll leave that alone, but you get my meaning. God bless them but they drive me crazy. It has already been posted on the site and I hope and pray they read it and think about it. I’ve gotten into so many discussions regarding Jade’s and scheffelara being OK to developed as bonsai. I even posted links to Jim Smith’s magnificent creations and they don’t budge. I discovered your blog a few weeks ago. I am starting at the oldest and working my way to the current. Love your sense of humor. I have learned so much. i agree with you wholeheartedly…95%. 🙂 anywho, what if you paint a self portrait but the longest side of the canvas parallel to the horizon. Than it would truly be a landscape. I think Marcel duchamp would find that to his satisfaction. Cheers. The jim smith bonsai link to jimsmithbonsai.com leads to a bathroom renovation site. Sup with that? The icon is a bonsai link with bathroom renovation subtitle even. Ah, bummer. Such a loss to the community without him. Know where I can learn more about him aside from the defunct website? Thanks!